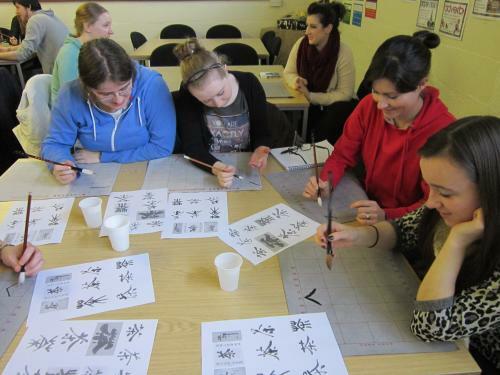 First year students on the BA Primary Education programme have been given a unique introduction to Chinese culture, thanks to Bangor University’s Confucius Institute. To mark the beginning of the Chinese New Year, students attended practical workshops on Chinese art, cooking, music and dance led by Confucius Institute staff. The aim of the sessions was to familiarise students with Chinese traditions and to encourage them to utilise this new-found knowledge in their future teaching careers.